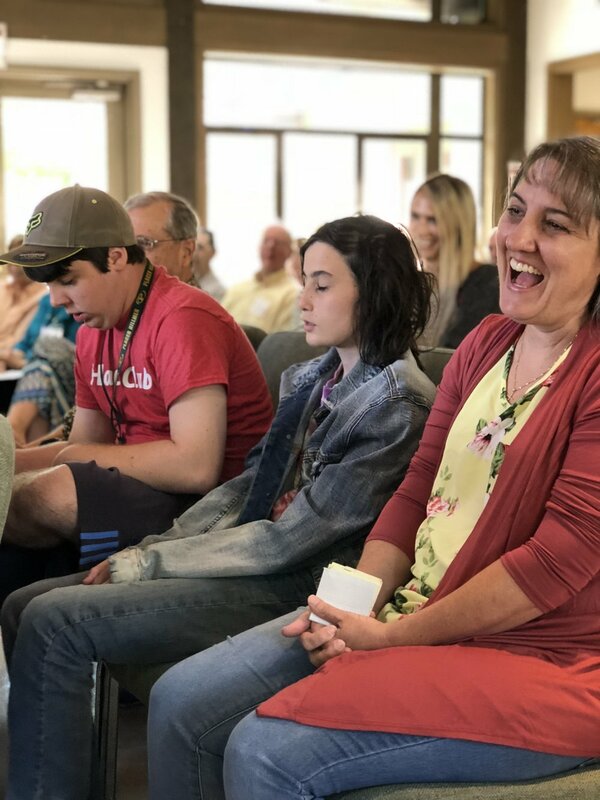 The Loomis Basin Congregational United Church of Christ (LBCUCC) is a progressive community of independent thinkers who come together with a similar belief in the ideas of equity, justice, and the teachings of Jesus Christ. We have a relaxed family feel in that we embrace our own diversity and respect each individual’s beliefs. Our church offers a quaint, small-town atmosphere in contrast to some of the larger, big city mega-churches. We encourage you to stop by and visit on any Sunday, or contact us if you would like more information. You’ll find a broad range of cultures and styles in our united and uniting church. Not all UCC congregations are the same and we’re proud of our diversity. The best way to find out if our congregation suits your needs is to visit us on Sunday morning! Our congregation is an open and affirming congregation. Open and Affirming is an official designation within the United Church of Christ applied to churches who have formalized their commitment to welcoming members of the LGBTQ+ community.